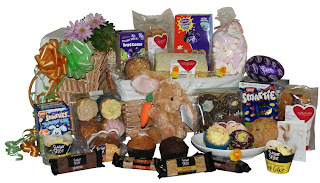 At BasketsGalore we have been creating Easter Gift Baskets for the past 10 years, so you might like to look at our range for inspiration. Also if you live overseas postage to Ireland & the UK can be expensive, so why not order a gift for your loved ones from us & we can ship it from only €8.34. Ordering an Easter gift also takes the hassle out of sourcing, packaging, presenting & posting your gift as we take care of all that for you! However, we hope these tips are helpful for anyone wanting & able to create their very own Easter Gift Basket. Easter is a time to celebrate spring as well as take part in religious celebrations. 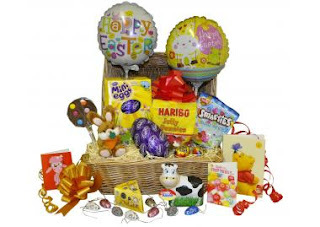 One of the most treasured Easter traditions for children is the baskets full of gifts, it has a long history rooted in both pagan and religious customs.The basket full of gifts were used to carry the first seedlings of spring, and it was used to carry the feast at the end of Lent. While the purpose has shifted, these baskets continue to be a source of joy for kids of all ages, and more joy on receiving the one. These baskets can be self made or can be ordered. There are many similar stores and online sites available in which one is Gourmet Baskets. They have been in operation since 1998 and since our inception has literally delivered thousands and thousands of gifts from mum and dad to CEOs. They source the finest, award winning gourmet produce as well as major brand names in compiling gorgeous gift hampers. Make this one of the reason to spread joy and have a very happy Easter.